This is your World’s Best Bars 2016 badge! EIN PORTRAIT. MIXOLOGY ONLINE IM GESPRÄCH MIT DEJAN SPASOVSKI. Inspired by the famous linden tree surrounded boulevard located in the center of Berlin. Linden Cordial made by the beautiful linden flower, combined with sweet and localy produced honey. A spray of absinthe compliments not only the flavors of the cocktail but also the atmosphere of the city. Jump on the U-Bahn and come down to Salut! 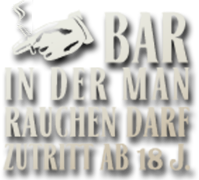 Bar to experience „Berlin“. One of the twelve locations on our traveling bartender menu. Inspired by Tennessee, located in the Dixie region. A sweet and smoky cocktail that is best enjoyed while listening to Aretha Franklin, or one of your favourite country songs. And can you serve an American inspired cocktail without a side of popcorn and toasted marshmallows? Come down to Salut Bar! and enjoy a Southern Dixie. One of our twelve destinations on our traveling bartender menu. *Gorilla glue is a legal herb with the full flavor of marijuana without the psychoactive effects. Jump in to a yellow cab and come down to Salut! Bar to explore Bushwick. One of the locations on our traveling bartender menu. Salut! Bar hat einen Beitrag geteilt — aufgeregt. you can support our bartender on his cocktail conquest to Ireland. Simply open the post on instagram and give it a like. Of course you can come over and try the Irish Tales 🍀 by yourselves as one of our specials! Saínte!